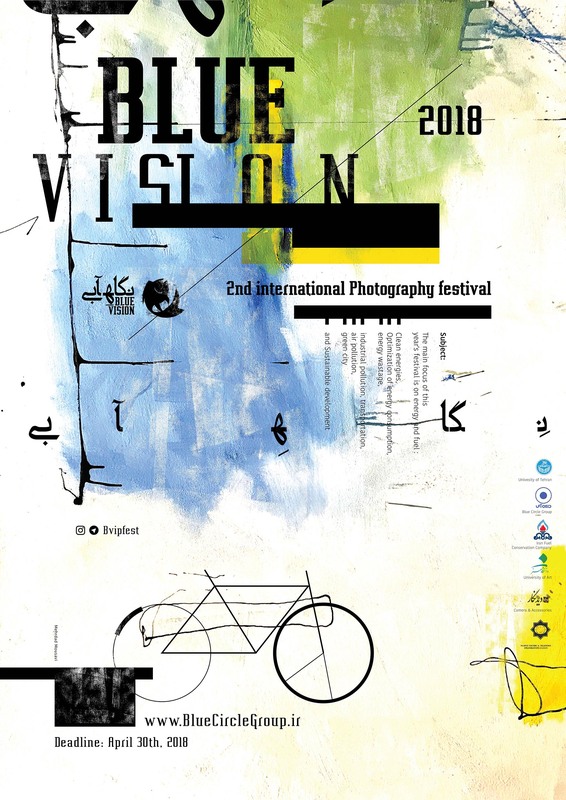 Blue vision international photography festival is an environmental international competition organized by art and ecosystem club at the University of Tehran and with the help of students all over the world. The main focus of this year’s festival will be on well-informed energy consumption and clean energies. The entries for this year’s festival will be in national and international pro section and also in mobile photography which will be showcased on festival’s official social media. Clean energies, optimization of energy consumption, energy wastage, industrial pollution, transportation, air pollution, green cities and sustainable development are the submission categories and the selected artworks will be showcased in galleries across the globe. For the pro section, works can be submitted through the official website at bluecirclegroup.ir and the mobile section can be submitted through social media with #BVIPFEST hashtag. The participants can submit their work until may 30th and the selected artists will be announced by the end of June. This year’s winners can receive more than 2000 dollars in prizes. For further details and the complete call for entries please visit the festival’s website.